This shirt is hard to see. It appears to be a sedated grey plaid with a pattern of darker charcoal stripes that run in sets of three. 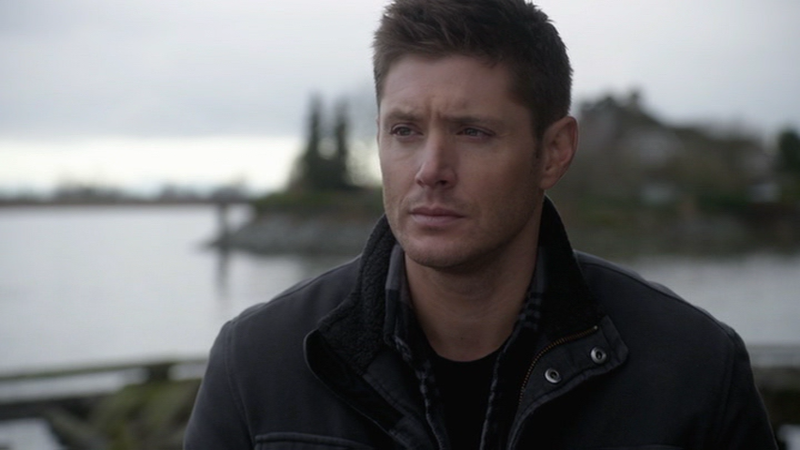 In The Vessel (11x14), Dean wears this plaid in the final scene, when he and Sam are out on the pier trying to come to terms with what happened. 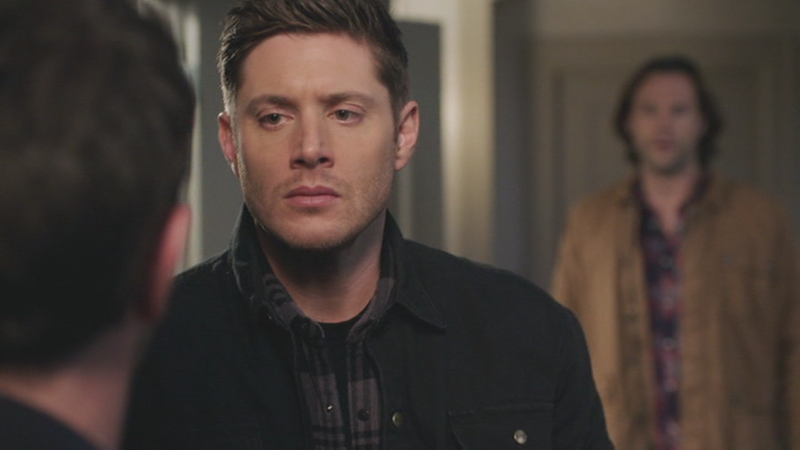 In Ladies Drink Free (12x16), Dean is wearing this shirt when Sam brings Claire back to the hotel room after she is bitten. He continues to wear it until she is cured. Was watching Ladies Drink For Free (12x16, i think) and I'm pretty sure this shirt makes another appearance in the second half of the ep. You get a much better look at it in the scene in the hotel after Claire is bit. Yes! I believe it's the same shirt as well. I'm not quite finished going through S12 in my private files, so none of it is up on the website yet. But, probably will sometime in march. Also: yay for s12 updates!